A briefer email this time and much earlier than usual, in part because my web manager is about to be away – and I rely on him totally if anything unravels in this marvellous but sometimes mysterious world of social media. Speaking of which, next Monday evening (25 June) I will be on Tony Delroy’s late evening programme, Nightlife (ABC Local Radio) talking about the positives of social media, especially Facebook. We hear so much about the difficulties, yet for many people – and sometimes to their surprise – it’s becoming an invaluable source of information and inspiration, as well as company and communication. If you feel that social media has given you something special, don’t hesitate to write about it on my Facebook page. I’d love to hear your experiences – and yes, of course I will also be talking about this webmail Network and the more leisurely communications that it supports. You will be able to hear that discussion also as a podcast if 10-11pm is a little late…or if you are reading this far from Australia. Podcasts, too, like YouTube and so much else, are also part of this new media landscape. With care and thoughtful choices, I feel sure that we can use it to benefit issues that we believe really matter – and share our support and insights. Meanwhile, don’t books matter increasingly?! Those of us who care about books need to be active in our support, so as part of the celebration of the gorgeous new edition of The Universal Heart, I’ve negotiated for a minimum discount of 10% on ALL the books on the on-line bookstore that supports this Network and is accessed via my website (or this link: on-line bookstore). You can find the new Universal Heart there of course, with its glorious cover pic from the da Vinci detail. Also you may be interested to know that I’ve just posted on my website the longish review I wrote of Richard Holloway’s wonderful memoir Leaving Alexandria. Here’s the link to that review. The bookshop offers many recommended titles including some terrific novels – and virtually any book you want can be easily accessed. If you buy two or more books postage costs will almost certainly be covered. It’s $6.95 for an unlimited number of books – or CDs (my meditation CDs are all available again). For those of you using it for the first time, it’s owned and run by Collins/Seek. My “shop” is just an affiliate site, however a small percentage of sales benefit and support this Network. More support – and in person this time – because I am also looking ahead to two major retreats in October and want to remind you gently that if you are interested then please, please put your name down sooner rather than later. Leaving things to the last is very much how many of us doing things these days but making a decision sooner ensures you a place and it also helps us so much with the planning. 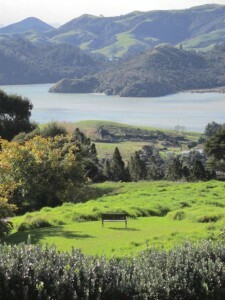 Details of the retreats follow – and of course send them on freely to others who might be interested. 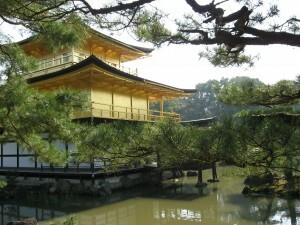 Also following are a couple of quite beautiful images, the first one from Mana and the other from Kyoto. You will be communicating directly with Mana (for the peaceful mind retreat – deeply calming and restorative) or with William Suganda (for Writing in Kyoto) but know that I am particularly delighted when a place is taken up by someone from this Network. So please feel free to tell me too, once your decision is made! Joy is inexpressibly more than happiness. Happiness befalls people, happiness is fate, while people cause joy to bloom inside themselves. Joy is plainly a good season for the heart; joy is the ultimate achievement of which human beings are capable. You may be asking: the ultimate achievement…? And perhaps the answer really is YES, because in joy, through joy, we reconnect to life itself. We choose life all over again. And choose it with full-hearted appreciation especially when we “cause joy to bloom” and are willing to express that. Spring is the perfect time for inner and outer renewal and this year the Spring Retreat at Mana will focus on the timeless theme of “Peaceful Mind”. Together we will rediscover our inner resources and what best supports an inner stability and confidence that makes the most of life, whatever our outer circumstances. Enjoy the exceptional community experience of dedicated retreat life, with ample time for reflection, teachings and discussion, along with fine food, beauty of nature, and rare care for mind, body and spirit. Massage and watsu also available and please contact Mana if you would like to extend your stay at either end of the retreat. Stephanie has been teaching at Mana for 11 years and regards it as her most replenishing spiritual home. This writing/travel retreat is for writers at all levels from occasional journal writers to those for whom writing is already central to life. Exercises, discussion and highly experienced, gentle teaching will allow each person individually to live, see, think and write more freely and far more creatively. The emphasis is not on publication but on pleasure in the inherent discoveries that come with writing freely. Writing workshops in the mornings with Dr Stephanie Dowrick. Guided explorations of the enchanting ancient city of Kyoto in the afternoons and evenings with Japanese-speaking William Suganda. This will be the third trip to Japan that Stephanie and William have led together. People can join the group in Osaka (or Kyoto) from anywhere in the world. Numbers strictly limited. Please email: William@inspiredtraveller.com.au to register your interest and receive the complete itinerary in pdf form. Stephanie Dowrick’s books include fiction and literary non-fiction. 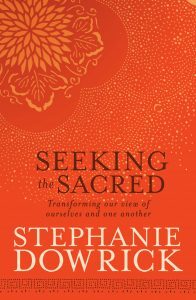 Particularly relevant are her spiritual study of Rainer Maria Rilke, In the Company of Rilke, and Creative Journal Writing: The Art and Heart of Reflection. Next Next post: Reading recommendations!